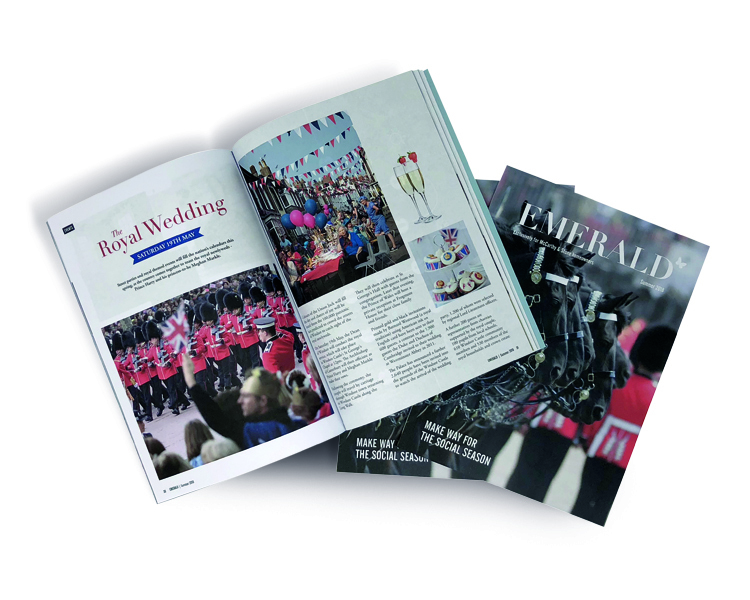 Following a very successful first edition of Emerald, an exclusive magazine for McCarthy & Stone’s Homeowners at Christmas, we were delighted to produce their second edition this spring. Continuing to inspire Homeowners to live life to the full, readers could sail their way through the top cityscapes this season, find tips to brighten up their window sill, a summer reading list to enjoy, discover the joys of Canterbury, sailing and the Pilates revolution, and recipes for scrumptious summer treats. Timed perfectly with the grandest, most talked about event of the season, it gave us the perfect excuse to crown the edition with Royal Wedding and Social Season features which included a four-tier lemon and elderflower celebration cake recipe, not-to-be-missed social events, and the chance to win a William Edwards Home limited edition wedding set. From content creation, to copywriting, to the complete design and print, it was a fabulous project to be involved with once again, and we look forward to edition number three come the Autumn.